An in-depth look at EHC Plans over 2 sessions. The majority of children and young people will have their needs met, and make educational progress, with the additional provision that can be provided under the SEN Support framework. A small number of children and young people who are identified as having very high levels of need that school alone cannot be expected to provide, and where the child is making little to no progress, an EHC plan may be issued. An education, health and care plan is for children and young people, between birth and 25. It is the result of a 20 week statutory assessment of the child/young persons needs. The plan details the special educational provision required to meet the identified needs. All plans are educationally led. The plan itself identifies all the child/ young persons educational, health and social needs. It also details all the support that is required to meet those needs in order for the child or young person to be able to make educational progress towards their outcomes. Designed by Cheryl Wyatt from the Information & Advisory Service (IAS) Bolton, our workshop has been written to guide parents and carers through the EHCP journey and how it works within the Bolton authority area. 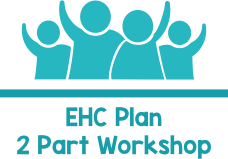 There’s a lot to talk about when it comes to the full journey of an EHC Plan, therefore we have split this workshop into 2 x 2hr sessions. The 2 sessions interlink, and are not stand-alone workshops. The sessions are run in relatively small groups, this allows for questions to be asked and hopefully answered within the session, we aim to ensure no one goes home with burning questions unanswered. All attendees receive a detailed handout to take home that covers the key content of the sessions and full details of legally based information that we cover. It is generally hosted by Cheryl Wyatt from IAS and Nan Cooper from BPC. Firstly we walk you through how the EHC Plan draft is designed, through to the final plan being issued. Even if you already have your final plan, the draft plan discussion helps inform you of changes that can be made at a later date to the finalised plan. Secondly we cover one of the key aspects of an EHC Plan which is the annual review. The review is different at a key stage change. We discuss these reviews and what they must contain and how progress is reviewed Bolton LA. Your EHC Plan is an important document to support transition to new educational settings, so we cover this aspect too. Sometimes things do go wrong, or you may feel like you have concerns, we cover this mainly in session 2 where we cover exclusions, discrimination and disagreements and we will cover what SEND law says about these aspects of education. Each session lasts for 2 hours, with built in breaks. It is a relaxed atmosphere and there is ample time to ask questions. Everyone who attends receives a handout to take home that details the legal aspects of EHC Plans. If you would like to book a place on any of the below sessions, please complete the form below. If you have a message you can type it here.